Training is fun @ SMK Seksyen 9, Shah Alam. Taekwondo isn’t all about self defense as everyone would think of. However, this is barely scratching the surface. Taekwondo also teaches us to be discipline which includes respecting other people and always being punctual during training. This is vital in being a student of SMK SEKSYEN 9 that obeys the concept ‘Standard Murid’. Taekwondo also trains ourselves to be both physically and mentally strong. As for our school, Taekwondo training is held every Saturday morning from 8:15 am to 9:30 am and what makes all of us look forward to it are the instructors who are Mr Leong and Mr Yap. Mr Leong is always there to teach us in a fun way, with cracking us up with his witty jokes. On the other hand, Mr Yap is very strict but always making sure that we understand in detail about the techniques we learn and reminding us to push our limits. This gives a sort of yin and yang effect on how they train us. This is because if one would be without the other, it would be imbalanced. 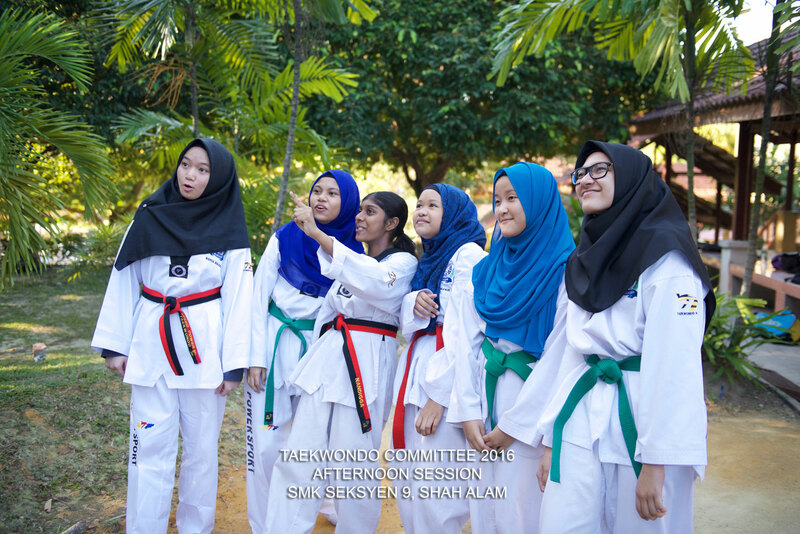 Lastly, being a part of the Taekwondo club has made us a much more discipline and obedient person. On behalf of my club, i would like to thank Mr Leong and Mr Yap for all their hard work and dedication in building the fighter in all of us.